Ombré masterpieces from Hopped Up Jewelry on hand made oxidized sterling silver ear wires. 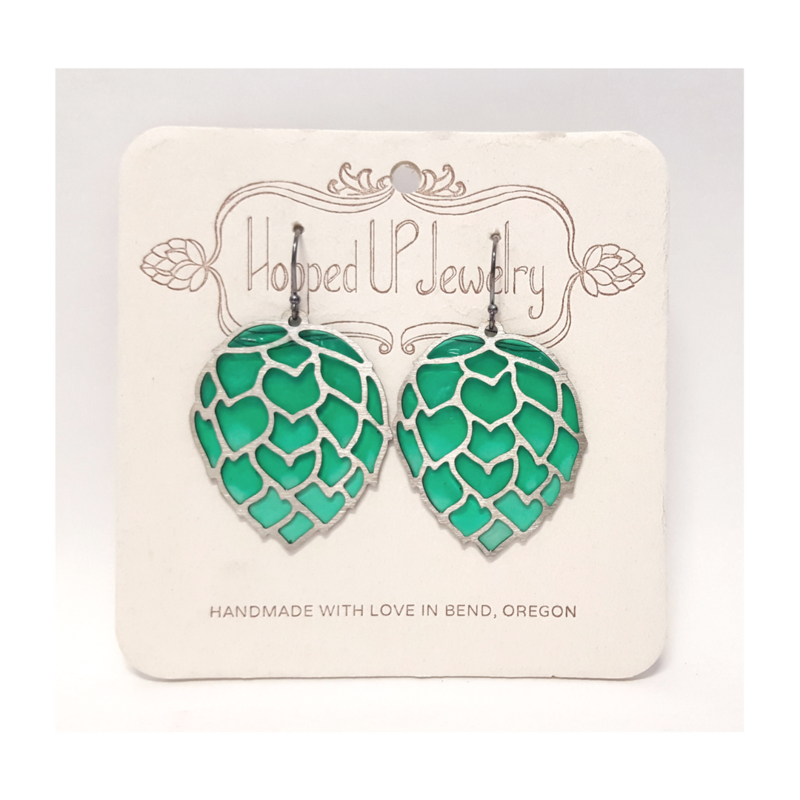 These earrings are colored by hand, making each pair one of a kind - please allow for slight variations. Available in small 1.25 in or large 1.75 in. 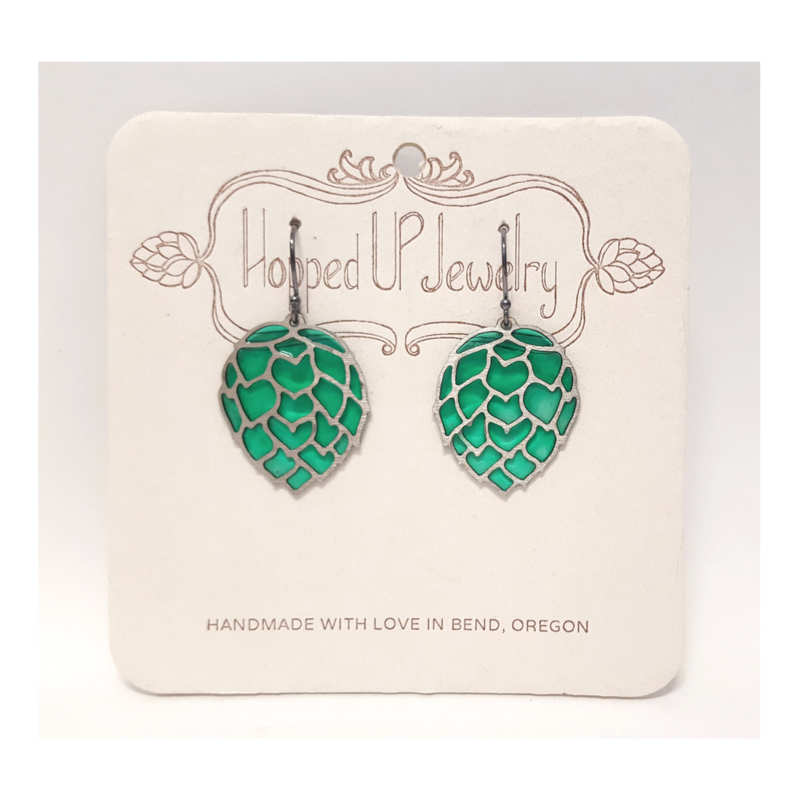 Hopped Up Jewelry is based in Bend, Oregon. From first design to final finish work, jeweler Kimberly Markley bends, shapes, forges & stamps each unique piece of jewelry into art for you to wear & enjoy.